The weather has been calm and consistently sunny this week. Mornings are cooler with patches of fog on the lake and there is a dry crisp feel to the air that means that Fall will be here within the month. Above the lake, conditions appear to match the calendar, but below, it is still another story. 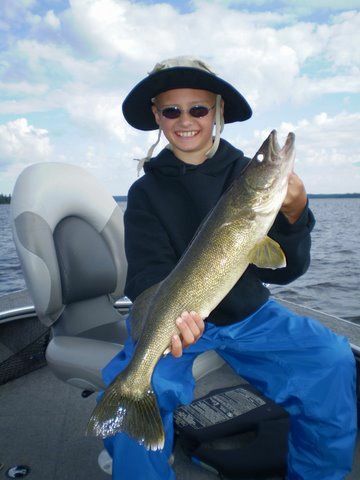 Walleyes were caught pretty much everywhere other than where we expected them to be the first week of Aug. 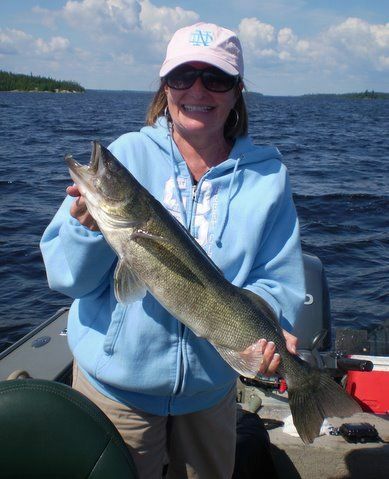 Typically, we will find volume on main lake rock and sand in 20 – 30, with the larger fish on key summer structures slightly deeper. 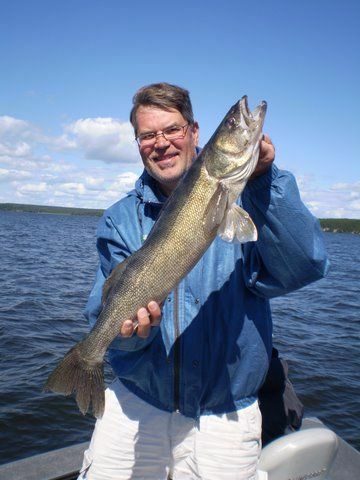 Those bigger fish spots were vacant; no big ones, no little ones, no baitfish on the graph, nothing. 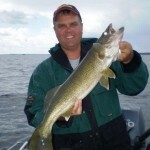 There were walleyes caught in front of specific weed beds in 10 – 12, on sand flats in 14 – 18, and on some summer sand and rock in 18 – 24, but nothing was consistent. A bite that worked one day would be dead the next, a sand flat that produced bigger fish one day would hold nothing but babies the following day, and there really was no obvious trend or explanation. 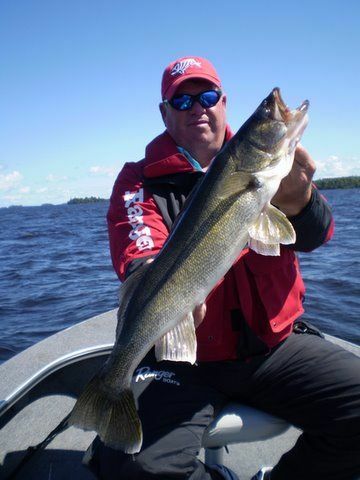 Normally, my favorite time of year to guide for big walleyes is mid-Summer, because that is when you can count on the big fish schooling by size and as long as they don’t move too deep, you have a reasonably good chance of catching them if you are willing to commit the time and effort. Again, this year is anything but normal. 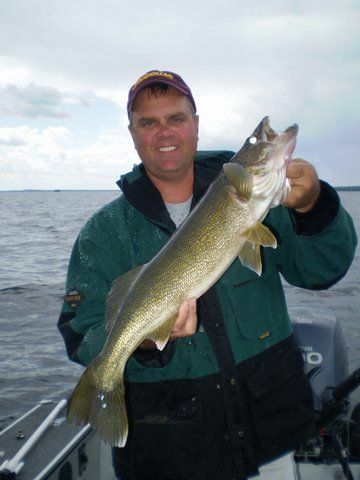 Big walleyes this week, were caught mixed in with small fish, in water as shallow as 11 ft., and on main lake, mid depth spots. 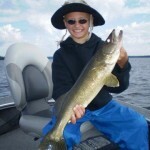 Volume was good again this week with guide reports averaging 35 walleyes over 18 in. per day. The highest daily total was 65. 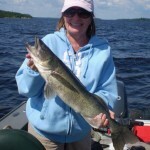 For the week we had 14 walleyes over 27in., including 4 – 28s. 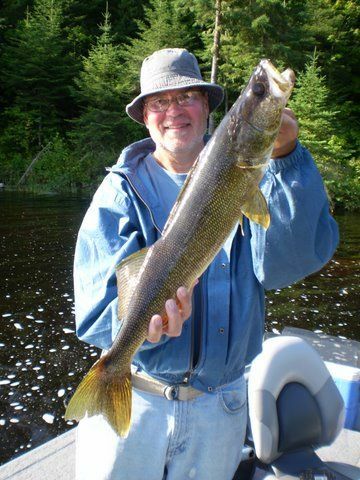 Bouncers were effective when the guides found active fish scattered on flats, but 1/4 oz. 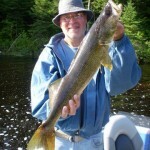 jigs were responsible for 90% of the catch. 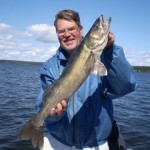 As we closed out the week, it felt like the bite was trending towards a more typical main lake sand/rock pattern, but if it doesn’t continue, I won’t be surprised.